Desirable corner end unit with city and sunset views. Comes with 2 parking stalls, washer and dryer in the unit, laminate flooring, full kitchen with utensils, and linens provided. Fully furnished, amazing location, near beach and shopping! 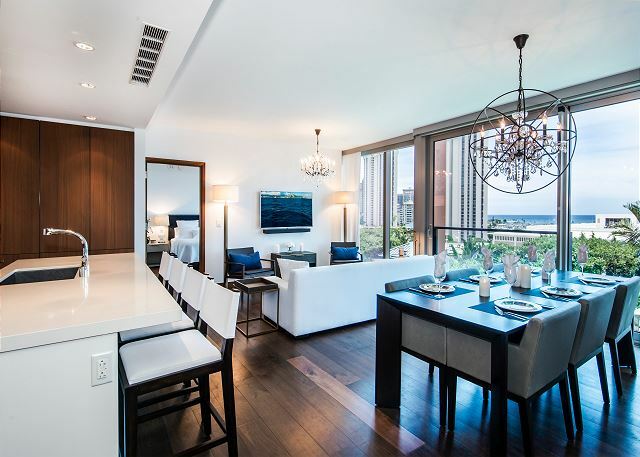 Take in the breathtaking views of Diamond Head and the Golden Coast of Waikiki, from this newly renovated condo. 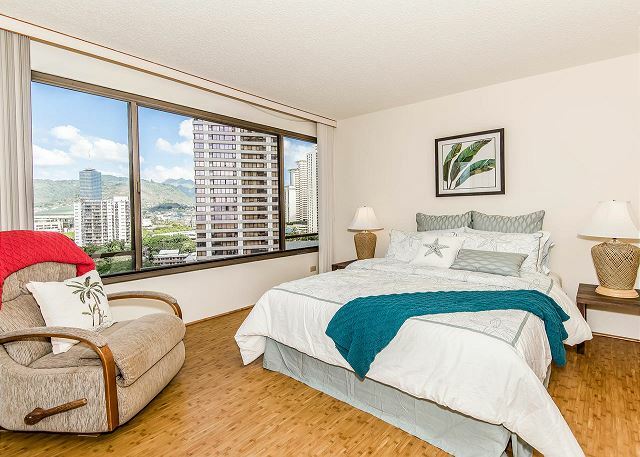 The unit is tucked away in a quiet neighborhood of Waikiki, just a walk away from the beach. 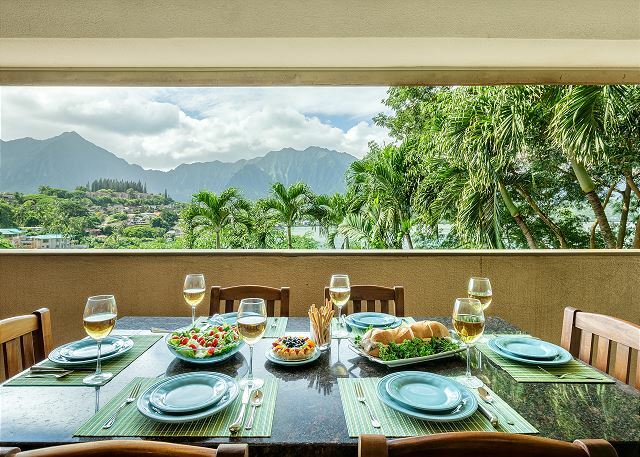 With four bedrooms / seven bathrooms, private pool, and close proximity to the beach, the EXECUTIVE DIAMOND HEAD RETREAT, is perfect for a family vacation, or a secluded retreat! 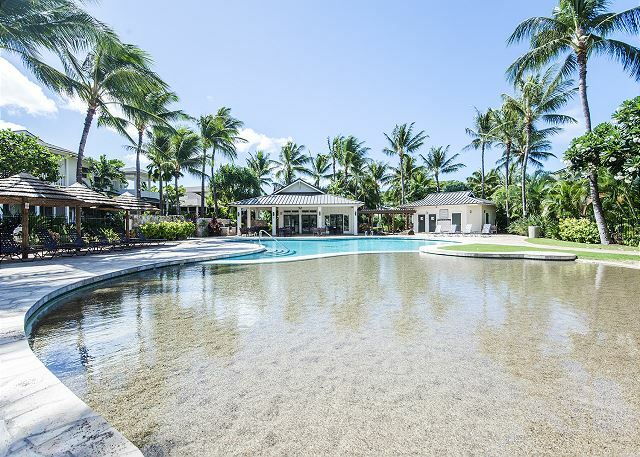 Call this breathtaking Kahala residence HOME on your next Hawaiian vacation! 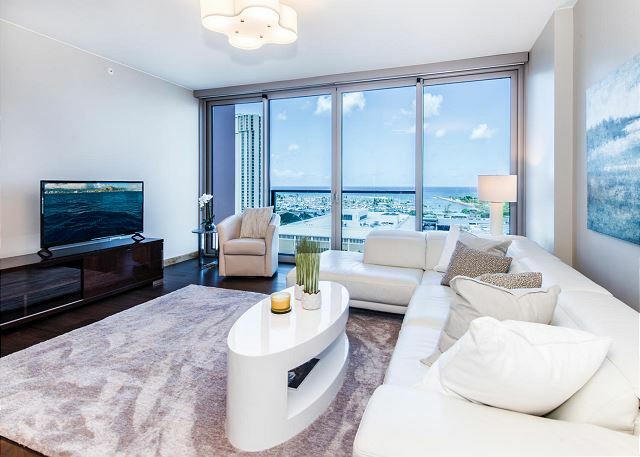 Spectacular direct ocean view high floor 3 bedroom home at Foster Tower located on Kalakaua Avenue directly across the world famous Waikiki Beach. This suite boasts unobstructed panoramic views of the ocean, sunrise and sunset. 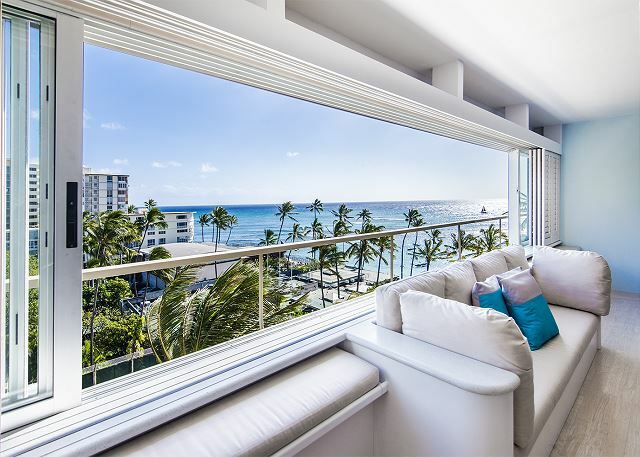 Return to old Hawaii at the Kahala Beach Condominiums, located on the white sand beach of prestigious Kahala at the base of Diamond Head. Fully furnished unit with 2 bedrooms, 2 baths, and 1 covered parking space. Just steps from the Kahala Hotel & Resort. This charming kama’aina home sits on the most desirable stretch of world famous Lanikai Beach. 3 bedroom/ 2 bathroom home comfortably sleeps 6 and is fully equipped for your next Hawaiian vacation. Chic and comfortable 2 bedroom/2 bath condo overlooking Kaneohe Bay. 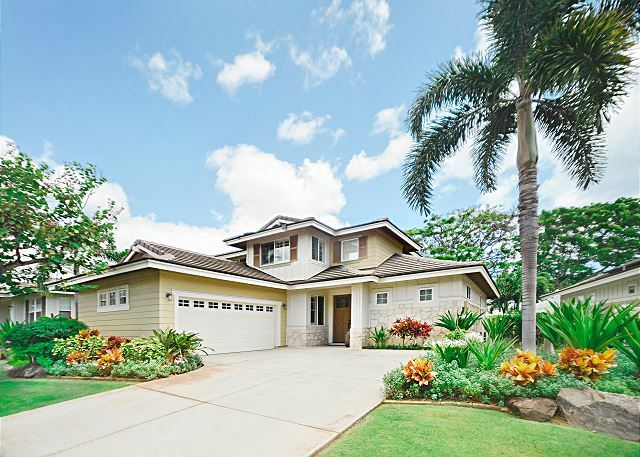 This 4 bedroom 3 bath Golf Course frontage home is part of the Ko Olina Kai Golf Resort Community. Near the Ko Olina Four Seasons, Marriott and Disney Aulani Resorts. 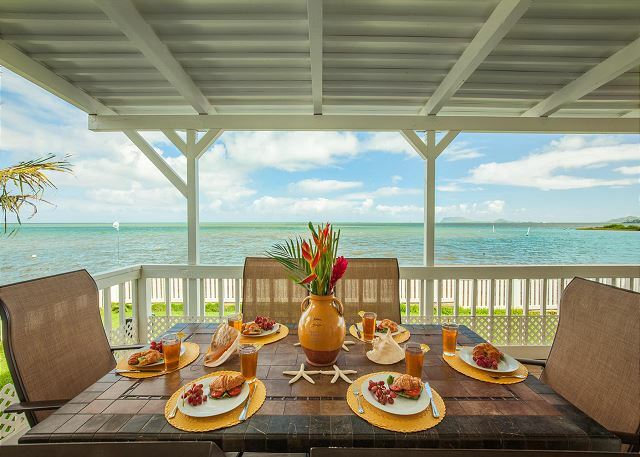 This tropical retreat offers an abundance of island living and island adventures. Call for shorter than 30 day stays. This resort town home with its serene setting is elegantly decorated to provide guests with feelings of comfort and tranquility. The plantation style lanai with gas grill and luscious tropical landscape. 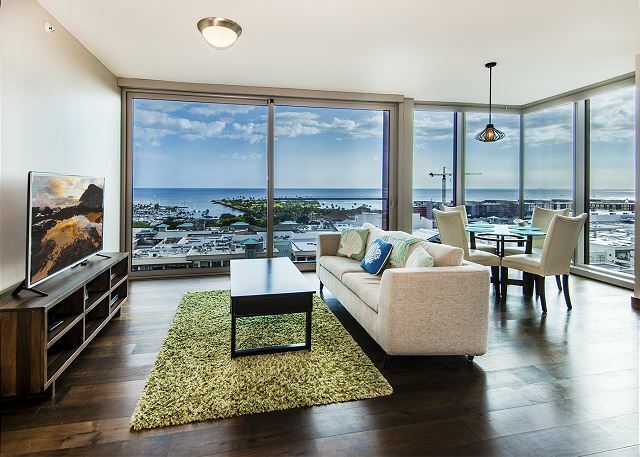 Beautiful ocean views from this luxury 2 bedroom at One Ala Moana. 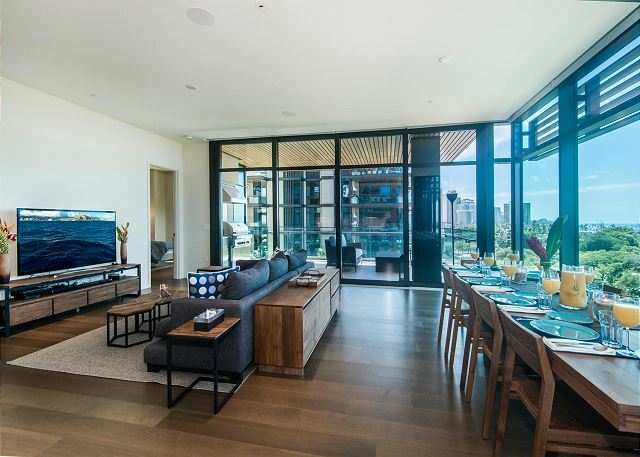 Eclectic art and furnishings in this luxury 2 bedroom unit together with fantastic panoramic ocean views make this the perfect Hawaiian getaway. 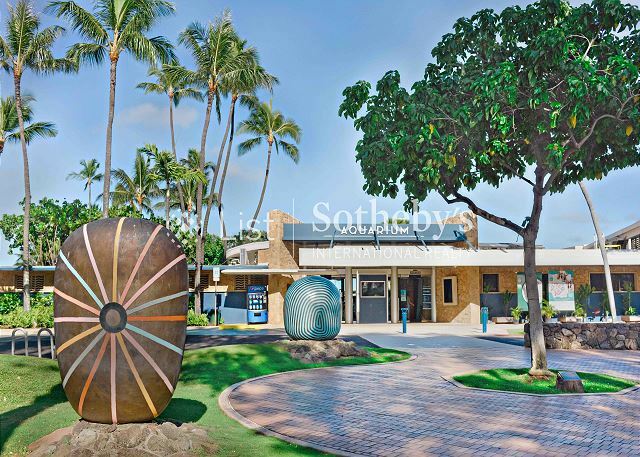 Enjoy the amazing amenities of One Ala Moana with a private movie theatre, putting green, infinity & kidde pool, playground & kids' party/craft room, spa, private massage room, barbeque grills with party cabanas & more. Just steps to beach and shopping! 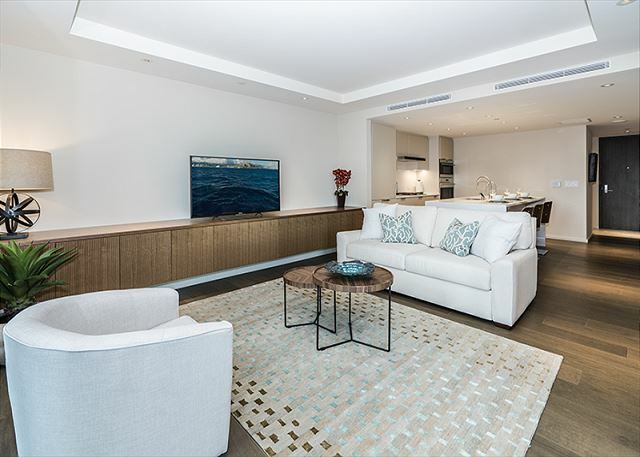 This beautiful, brand new 1BR/1BA unit with lush mountain views has expansive floor-to-ceiling glass windows, hardwood floors in the living room and premium carpet in the bedroom, gourmet kitchen with high-end appliances. 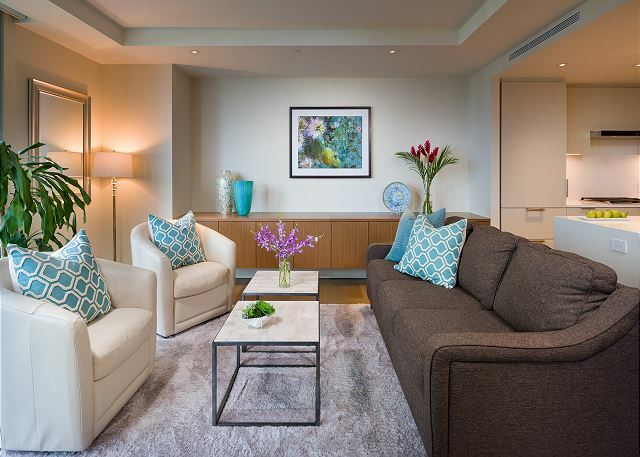 Enjoy the simple elegance, convenience and comfort at ONE Ala Moana. Expansive floor-to-ceiling glass windows entice you to gaze out at lush Hawaiian mountain ranges and beautiful city lights. Enjoy the resort amenities of One Ala Moana with a private movie theatre, putting green, infinity & kidde pool, playground & kids' party/craft room, spa, private massage room, barbeque grills with party cabanas & more. Just steps to beach and shopping! 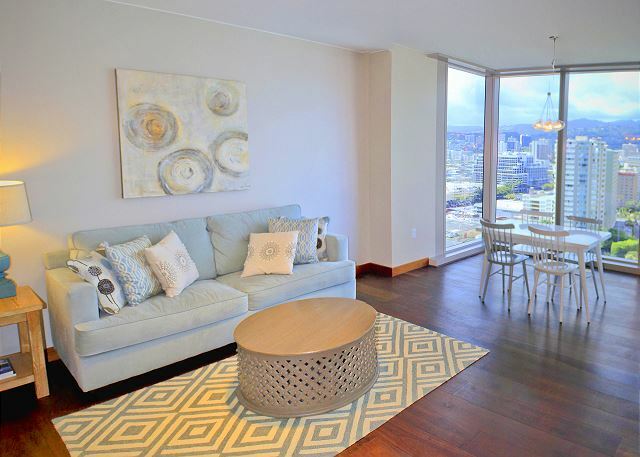 Luxury living at its finest at this exquisite one bedroom at Park lane Ala Moana. Premier luxury resort style living at its finest, premier amenities and guest services at your fingertips and world class shopping at adjacent Ala Moana Center. 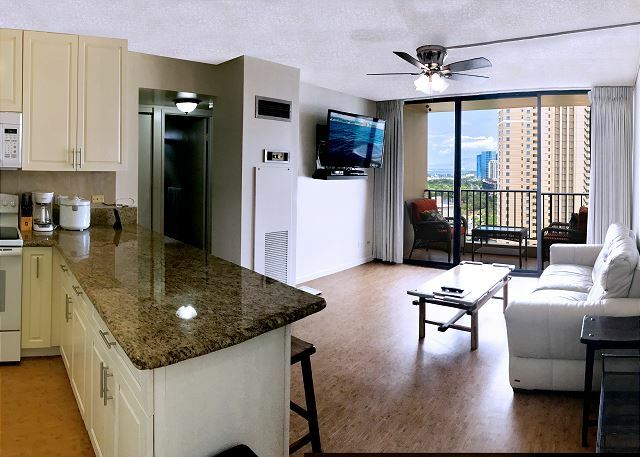 Enjoy the convenience of city living, with resort style amenities at Park Lane which provides residents with five-star service: valet parking, concierge, 24-hour security, a private, secure access to Ala Moana Shopping Center, & numerous other amenities! This fully furnished studio comes with a full kitchen, TV and air-conditioning. Secure building. One unassigned covered parking space available for an additional fee. 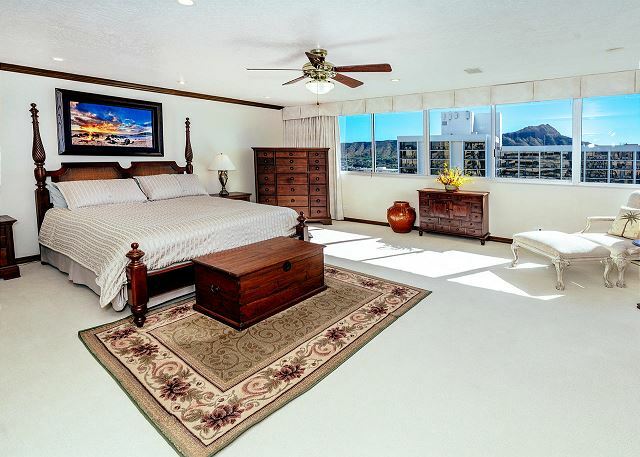 Very convenient location at the Diamond Head end of Waikiki not far from the beach. 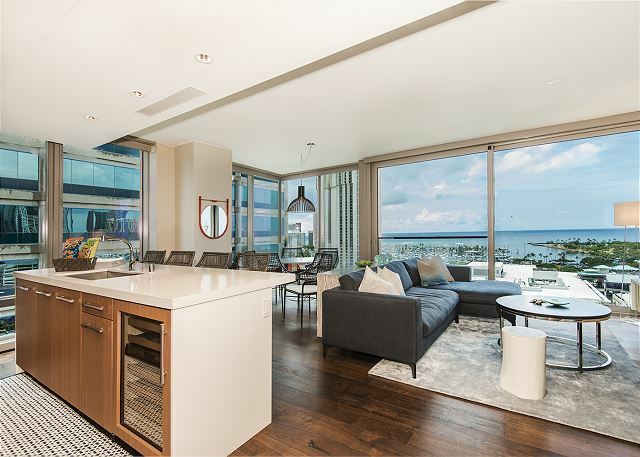 Spectacular ocean views from this 1 bedroom/ 1 bathroom condo in Discovery Bay. 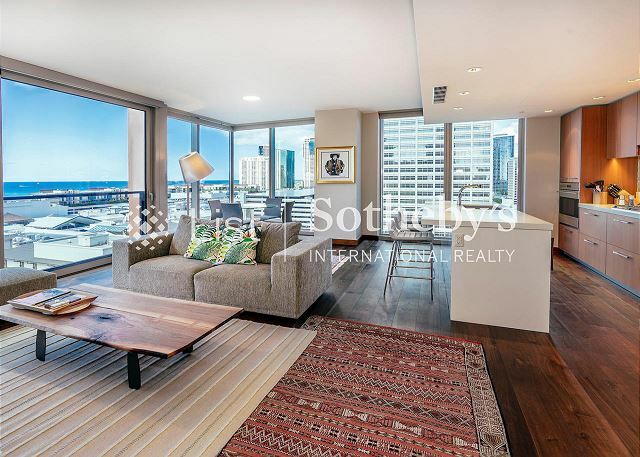 Ideal central location at the edge of Waikiki near Ala Moana Mall, the ocean and marina. 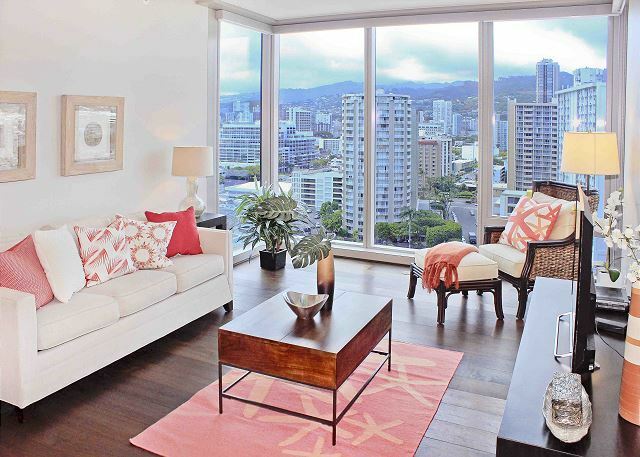 This 2 bedroom penthouse unit at Waikiki Lanais is a hidden gem in the middle of Waikiki. 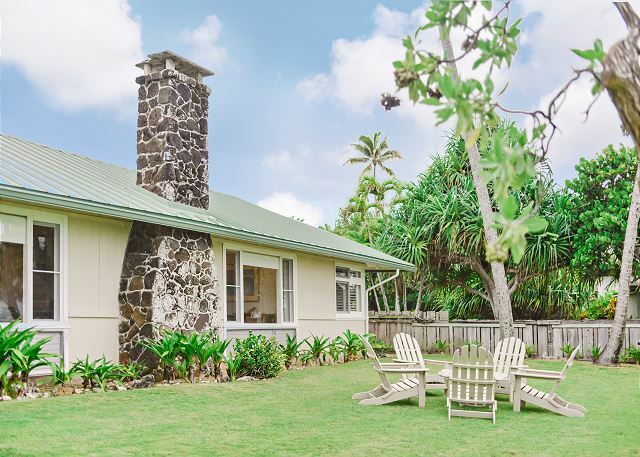 Tucked away by the zoo, this quaint little 2 bedroom has an ocean view and an expansive lanai, and is only 2 blocks away from Waikiki Beach and the heart of Waikiki. 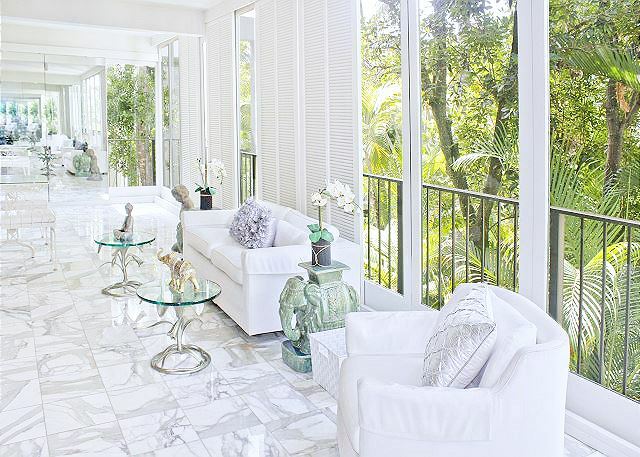 A true tropical retreat, this home boasts over 165 feet of direct oceanfront. Explore an adventure on the other side of Oahu, away from the crowds of Waikiki. Enjoy family friendly activities rich in local culture.